Skip the trip to the hair salon and just hit up this stylist who’ll come straight home and give you your chic bob or edgy undercut. True to its name, Nomad Haircuts is a travelling salon that just pops in from home to home, changing lives one haircut at a time. A one-man-show, the service is run single-handedly by stylist Rohit who will make the trip to your place, armed with his hair tools, and give you a haircut that’s so you. The idea is to provide unique cuts that match your look and personal style, all in the convenience of your own home. Rohit’s trademark style is short and adventurous haircuts, so if that’s the kind of cut you’re looking for, you’re in great hands. Even if you want something different, Rohit is sure to give you a haircut you’ll love. 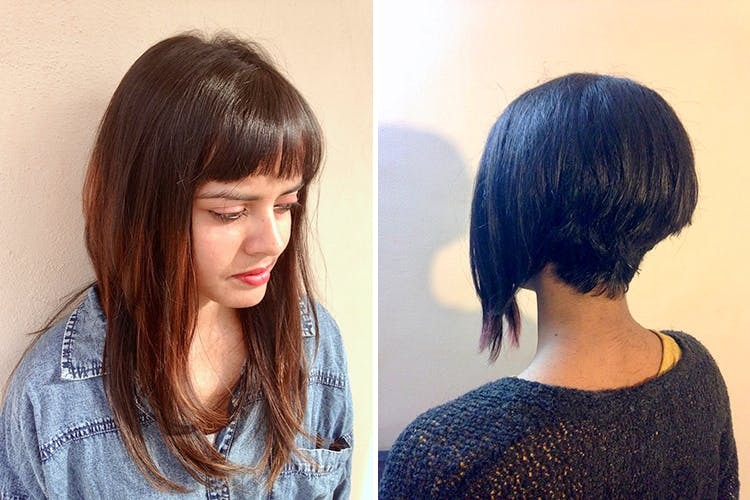 With a flat price of INR 1,500 for a haircut and styling, this sounds like a pretty sweet deal to us. Nomad offers a few other hair treatments too, like massages, where you can choose between hot oil, argan oil and other moisturising treatments. For a fee of INR 800, you’ll get a relaxing hair massage, blow-dry and he’ll style your locks too. If you’re looking to add a pop of colour to your mane, make sure you get in touch around 10 days prior to your appointment, so Rohit can source the dye and other resources. He prefers not to work with bleach, so if that’s what you have in mind, he’s probably not your guy. But if what you want is totally fresh haircut and the experience of it getting done at your humble abode, then give Rohit a buzz a day in advance. So what’re you waiting for? A stylish cut awaits you and you don’t even have to step out of the house. A win-win, we think. Wanna do something good and selfless for a change? Get your hair cut for a cause, and donate your tresses to be used as wigs for cancer patients.